Can I connect two gas connectors together to obtain the length I need? No, this could influence the gas flow rate, introduce new leak paths, and is expressly prohibited by the model codes. When installing the Safety+PLUS, I can hear the gas flow, but it does not work, why? There may be one of a couple of reasons the gas is not flowing to the appliance. First, the EFV may have been tripped prematurely. When the gas is turned on after the installation, the gas ball valve (gas shut-off valve) must be opened VERY SLOWLY, or the sudden gas flow may cause the EFV to trip. To correct, close the gas ball valve and wait a few minutes for the EFV to reset and then turn the gas on again. Second, check carefully for leaks upstream of the EFV. If you smell gas, you must proceed carefully. Make sure the area is well ventilated. DO NOT USE motorized equipment to dissipate gas vapors. When in doubt, call a plumber or other licensed professional. Do BrassCraft gas appliance connectors need to be bonded to the dwelling's electrical service panel? No. Flexible gas connectors are not considered to be CSST (corrugated stainless steel tubing) and do not need to be individually grounded or bonded. However, the home's main gas supply system should be properly bonded, if bonding of that system is required by the applicable codes. Consult local codes for proper technique of bonding. What type of copper are our water heater connectors made of, L or M? Neither. 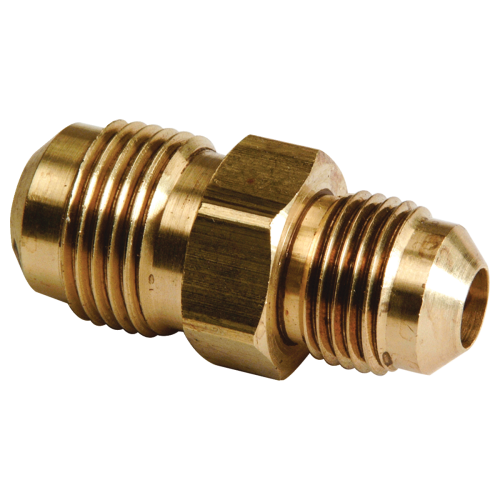 Our connectors are corrugated copper and are considered flexible water connectors by the product standards, not copper tubing. L and M refer to types of copper tubing. Can water heater connectors be looped to make them shorter? Braided water heater connectors may be looped, however, not less than 3“ in diameter. Copper water heater connectors may kink and flatten in tight bends and should be not looped to fit in the installation. 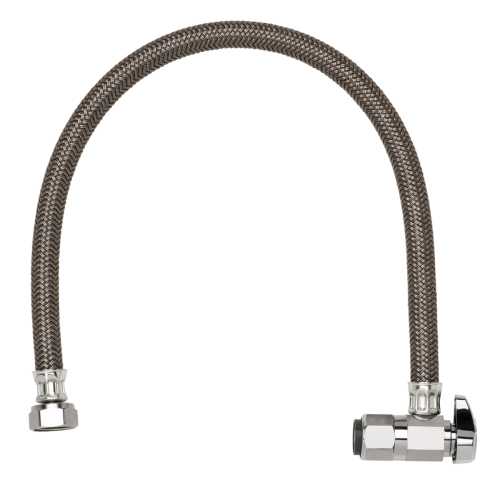 What is the longest water heater connector you offer? Our copper and braided water heater connectors are 12",15",18" and 24". Is CSA the same as CGA or AGA? CGA purchased AGA. Then CSA absorbed that organization. Are the BrassCraft angle stops bar coded if they come in a sleeve of 5? What is the pressure rating for our flexible water supply lines? 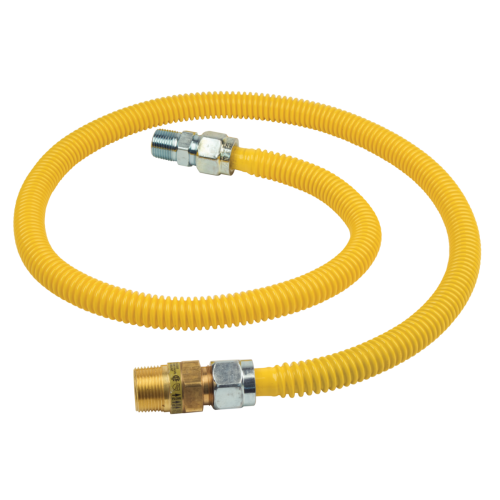 The maximum PSI for vinyl and braided connectors is 125 PSI. 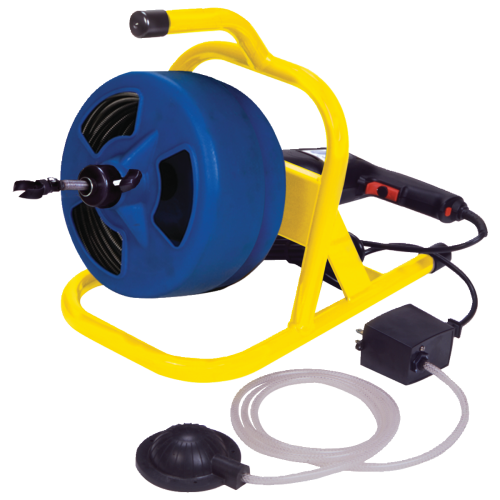 What is the operating temperature for our flexible water supply lines? 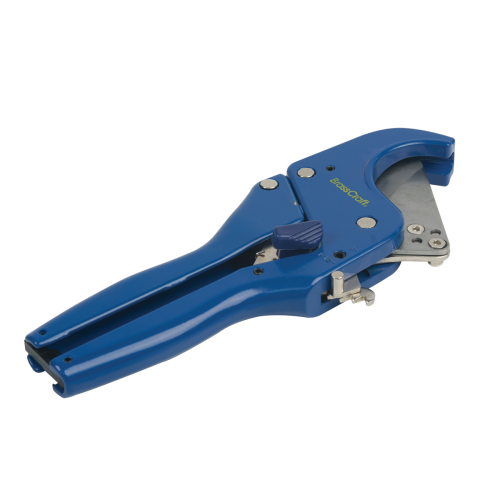 Vinyl and braided connectors have an operating temperature of 40 to140 degrees Fahrenheit. Intermittent to 180 degrees.